Can dogs eat blueberries? 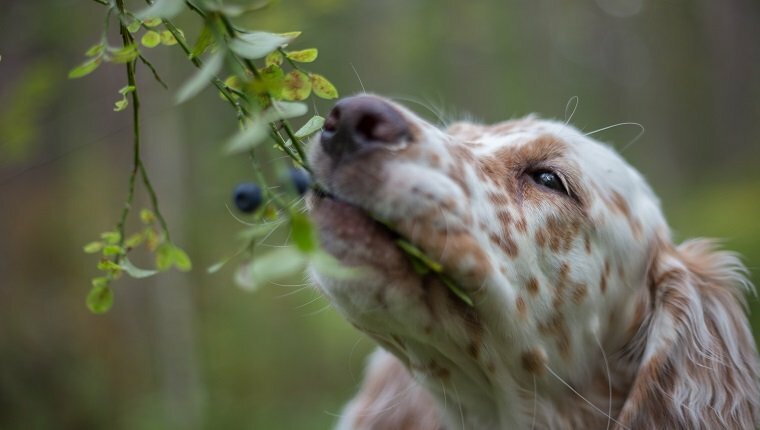 The short answer is yes, dogs can eat blueberries, but there are some things you should know before you share them with your dog. Blueberries are full of vitamins and nutrients that can give dogs a big health boost, and they’re small and soft, so they don’t present much of a choking hazard. Many commercial dog foods even include them in their formulas. However, too much of a good thing can be a bad thing. Blueberries are high in fiber, and while that is beneficial in appropriate amounts, too much fiber can lead to gastrointestinal upset and diarrhea. You should always ask your veterinarian before sharing human foods with your dog, and blueberries are no exception. 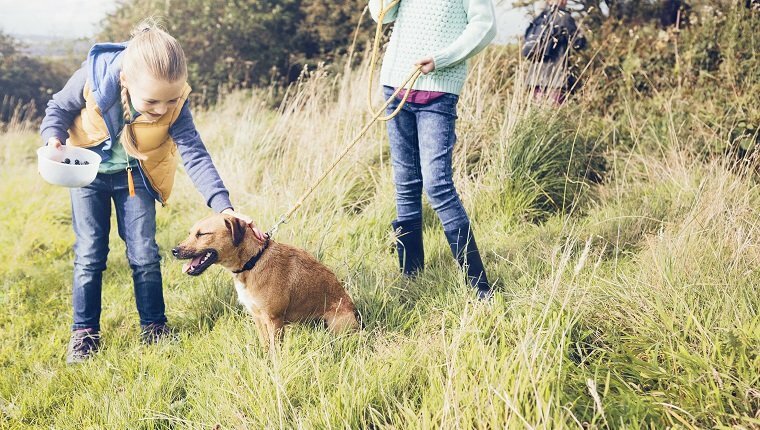 When fed to dogs correctly, they can be a tasty, healthy treat. 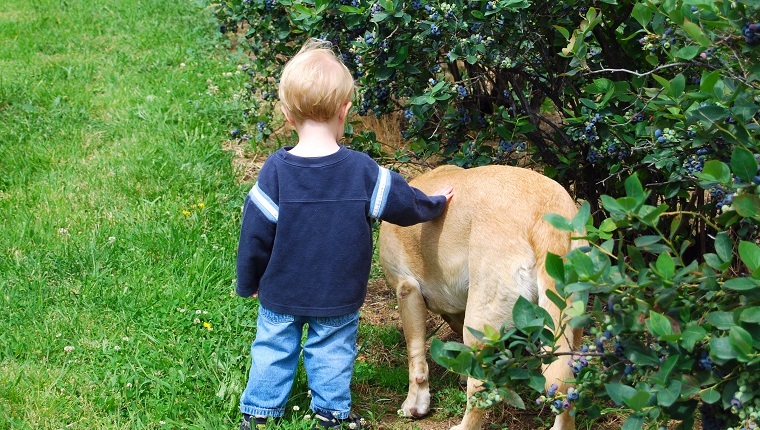 Here’s what you should know about feeding blueberries to dogs. Blueberries are low in calories, which make them a good snack or reward for training that won’t cause weight gain or obesity. They are high in vitamin C, fiber, and antioxidants, which may help boost the immune system and fight aging in the brain, arthritis pain, and even cancer. They may even help ward off cardiovascular disease and other conditions like the common cold. Compared to other fruits, blueberries are relatively low in sugar, and they may even be appropriate for dogs with diabetes, though you should absolutely ask your veterinarian before giving them to dogs with any medical condition. When Are Blueberries Bad For Dogs? Blueberries are high in fiber, and too many of them can cause a tummy ache and diarrhea. This is especially concerning if you grow them in your yard where your dog can get them. You should keep an eye on your pup or block off the blueberry garden to make sure they aren’t gorging themselves on these fruits. Artificially blueberry flavored products are also not good for dogs. They often contain chemicals, preservatives, or other substances that are harmful to canines. Additionally, products that contain blueberries may also have added sugar and other ingredients that can make dogs sick. Always check labels and ask your vet before sharing human food with your dog. These fruits are small and soft, so they don’t present much of a choking hazard, but if they are frozen, they become hard and may cause choking in smaller dogs. While this is unlikely, the risk can be avoided by simply making sure blueberries are defrosted before feeding them to small dogs. How Should You Feed Blueberries To Your Dog? You should always ask your veterinarian before feeding your dog human foods, including blueberries. They can instruct you on the proper serving size and make sure your dog’s health won’t be negatively affected by blueberries. Once you get the okay from your vet, there are many ways to feed them to your dog. Some people mash blueberries and add them to their dogs’ food for a tasty health boost. They can be used in treat recipes or be blended together to create a smoothie. Most of the time, however, they’re given to dogs raw. Because they are low in sugar and calories, they can make an excellent reward during training sessions. Always make sure to choose organic blueberries that haven’t been exposed to herbicides or pesticides, as those can make dogs sick, and make sure to wash them before feeding them to dogs. Some people like to freeze them for a refreshing summer treat, but it is important to note that freezing blueberries makes them hard, which can pose a choking hazard to small dogs. Some dogs find the taste to be bitter and unpleasant. For those dogs, there are many other fruits that are healthy, including strawberries and bananas. Not every fruit is good for dogs, though. Grapes, for example, can cause kidney failure. Research and check with your vet before giving fruits to your dog. Do you ever feed blueberries to your dog for a treat? Do you have any dog food recipes that include blueberries? Let us know in the comments below!